This year’s conference theme was “Data and Quality: Is the tail wagging the dog?”. So, it’s no wonder many of the professionals who came to our stand were keen to talk to us about data and prevalence. One of the key challenges discussed was the development of cloud-based technologies, and their impact on compliance. Now, auditors are having to ask more questions about where data sits – especially as it’s often in transit – and businesses are having to decide whether to send their cloud-based data to a third-party vendor to manage. The advancement of mobile apps and devices also presents new security obstacles, which must be overcome. However, they also present new opportunities and cannot be dismissed. We discovered that platforms were another technology often mentioned: more specifically, the move away from old systems in favour of innovative modern solutions. While integrating old systems into one coherent channel – and deploying all-encompassing platforms, which offer quarterly updates – seems to be a popular route, this can prove challenging. Many companies will elect to use new systems in the future, changing one or many of their procedures at once, one important factor to consider is the amount of disruption this could cause to their business. Aside from data itself, we were also asked about chances to work with us, whether by consultants looking for roles or to operate collaboratively, businesses keen to form strategic alliances or QAs seeking a change in career. To find out about our opportunities, please visit our Careers page here. 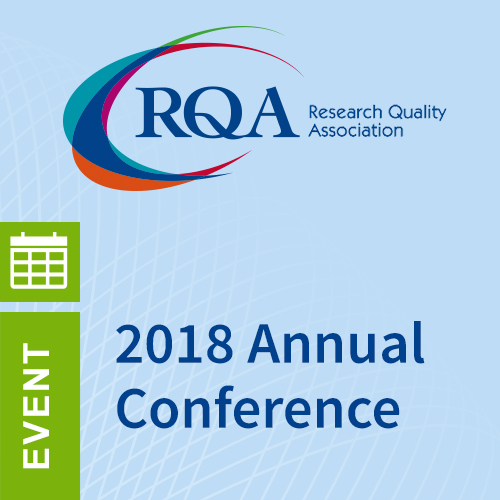 Finally, the RQA conference proved the perfect place to catch up with colleagues, to enjoy interesting presentations, to chat with likeminded individuals, and to unite people in their shared challenges and methods of overcoming these. We particularly enjoyed meeting so many people who were open about their problems and past mistakes, and showed a genuine desire to overcome issues and move forward in the best and most productive way possible. Hopefully, with the help of ADAMAS! To learn more about how we can drive you into the future, contact us today.